Is Doki Doki Literature Club the best horror game of 2017? 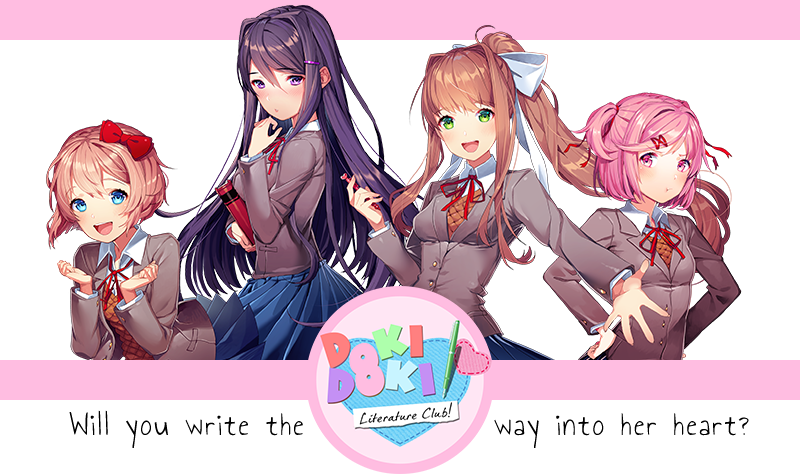 If you’ve been in touch with the indie gaming circle these past few months, you would have probably noticed a strange addition to the ranks of horror game enthusiasts: a cheerful, cutesy looking dating simulator game called Doki Doki Literature Club. At first glance, this game seems like the complete antithesis of the horror genre; more like its obnoxiously happy second-cousin. The moment you land on the game’s home screen, light-hearted music blasts from your speakers. The four romanceable girls pop out at you, chests first, amidst the pink and white polka dotted background. 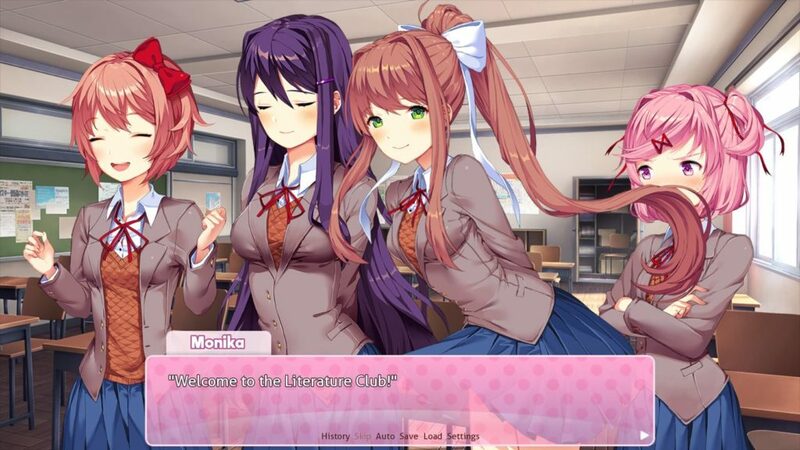 From the left, there’s your childhood friend Sayori, the shy and elegant Yuri, gregarious club president Monika, and loli tsundere Natsuki. Nothing out of the ordinary, right? Even the characters don’t stand out in its stereotypicality, and yet, a quick visit to the Steam store will tell you otherwise. The game has over 20,000 ‘Overwhelmingly Positive’ reviews and an undisclosed greater amount of downloads. It’s beginning to reach the ears of huge Let’s Players online too, and soon, everyone else will know about it. But what exactly makes this seemingly cute game so sensational? What does it have that other horror games do not? And most importantly, is it 2017 best game material? Let’s find out. There are many reasons why DDLC is an effective horror game, but it all begins with the genre of its game. Simple enough to say, no one really expects a dating simulator to turn into a horror game. But there’s more to it than that. From the first contact you have with it, it makes sure to retain an illusion of normality. Its game trailer, for example, seems like any regular dating simulator. Only one sentence in its description betrays its true intent: This game is not suitable for children or those who are easily disturbed. In a way, it’s a double edged sword. If you’re not looking closely, it’s easy to miss it out. But if you decide to give it a try, it adds a great deal to the game’s effectiveness. The way they do it isn’t a simple design choice either. It’s the way they embrace common dating simulator tropes to lure players into a false sense of security and control. Let’s be real – Nobody expects the main character to be punished for being kind of a douchebag (i.e. standard harem lead characteristics), nor would anyone think twice about how all the girls are immediately attracted to him. That’s just the way things have always worked in Japanese dating simulators, and the developers of DDLC use these logical gaps to their advantage. By beginning with what the players are used to, they’re able to set up for greater shock factor late-game when the twist finally hits. Uh, whatever you say, Monika. The twist being, of course, Monika. (Just Monika, Just Mon ika, J u st Mo ni-) As much of a presence she’s had in my nightmares since then, her character isn’t the exact reason why this game is so scary. What actually makes this game different, and maybe even better than other horror games, is their scare methods. Most horror games today fixate on what is the scariest thing, so they create monsters and serial killers and creepy animatronics to frighten the player, but DDLC is different. This game is a psychological horror, so more often than not, it’s not supplying you the fears, it plays on fears that already exist. Example: The fear of being controlled against your will, the fear of directly contributing to another person’s demise, and the most obvious and scariest, the fear that this piece of fictional media may actually bring harm onto your actual person. 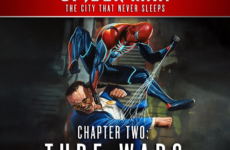 How they do this is simple – fourth wall break – but the amount of detail put into this game far surpasses any other fourth wall breaks I’ve encountered in the past. The characters don’t just make meta references or speak “directly to the player”, DDLC takes the extra mile and infuses itself entirely into the gameplay experience. For instance, after you get a “bad end”, it’s basic gamers instincts to load the file where you made your mistake and try again. But the game doesn’t let you. Your load files disappear, the character files for the one you want to save actually gets deleted (Don’t believe me? Check your game files), and that’s only the tip of the iceberg. DDLC is chock full with the creepiest tricks to keep players on edge. In one scenario, if you spend too much time in the load files screen, a pop-up will appear in the tone of Monika, asking you what you’re doing. In another scenario, you’re supposed to make a decision between which character to side, but the mouse automatically moves towards Monika’s name. 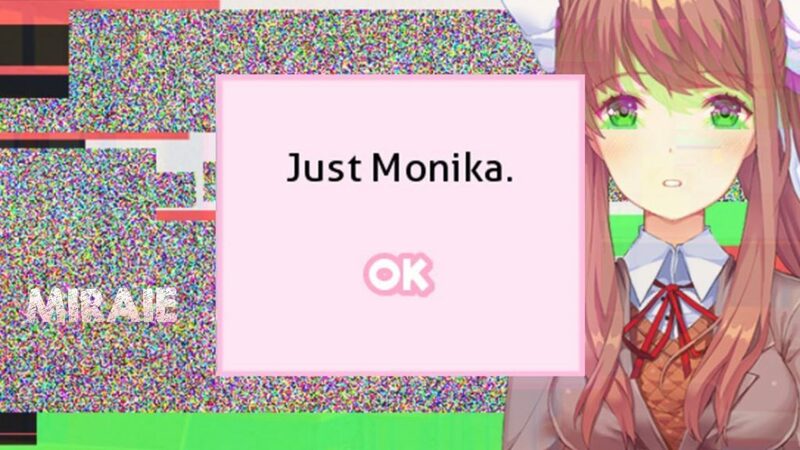 If you click on another character, the game glitches out and leaves you with only one choice: “Just Monika”. 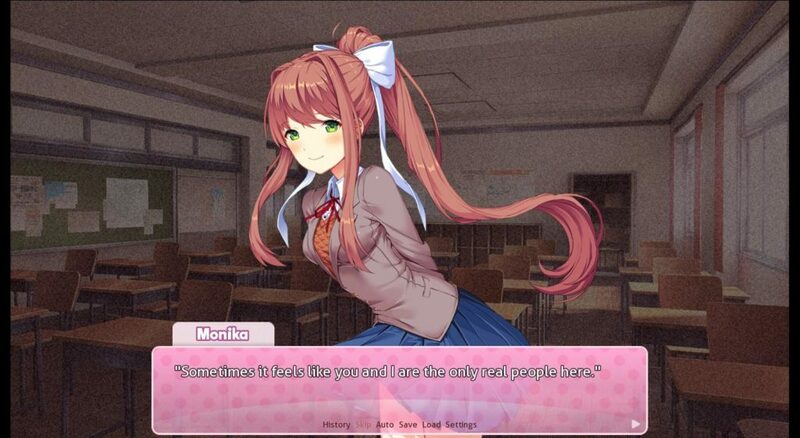 And the worst that I know of, if you’re streaming the game on Twitch, Monika acknowledges that you’re not alone. Is there anything these game developers haven’t thought of?! As gamers, of course we know that isn’t true. Through our entire playthrough – no, our entire history playing video games – we know save files are a thing. After this bad end, we’ll just restart and try again. But guess what? As I mentioned above, you can’t. It’s through writing and story planning like this that DDLC strings its players along, like a carrot dangling in front of a mule. 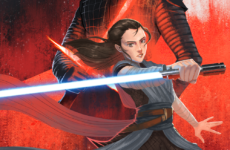 They let us fall in love with characters and trust its mechanics, playing along the shallow end of the pool the entire game, all the while setting up an ending where we’re doomed to fail. To add insult to injury, they even tried to warn us. Look through the dialogue on a second playthrough and the game’s true intent becomes very obvious, very quickly. It almost makes you feel stupid for not realising it the first time, but in fact, that’s what makes the ultimate message of this game so powerful. 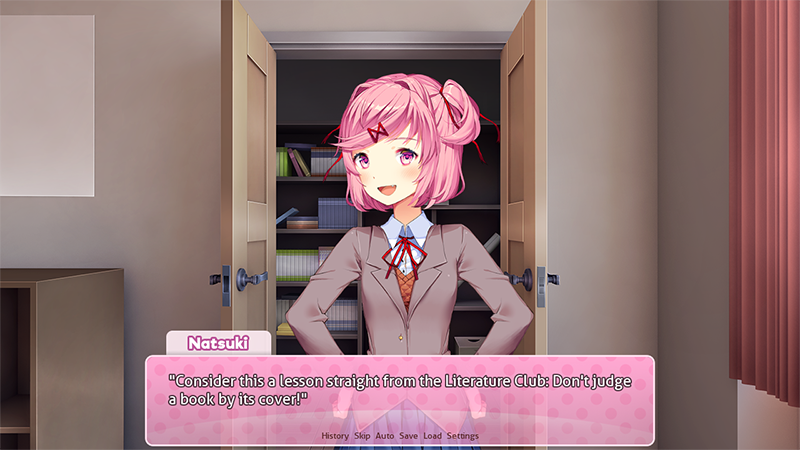 DDLC shows that we’re so entrenched in our understanding of this genre, it prevents us from fully realising its flaws (e.g. the absurdity of this genre’s logic), while subconsciously blocking out innovation (i.e. being accustomed to traditional dating simulator mechanics.) Its ability to be self-aware challenges players to think about the games they’re playing, to reimagine their understanding, and question their own logic. While other horror games become more action-oriented, dreaming up the next most messed up scenario, DDLC takes full advantage of the medium to dig deep into human doubts and fears. That’s what a horror game should do, and that’s why it has my vote. Ha ha ha, maybe not. TL;DR, what DDLC did wasn’t crudely mash two opposing genres together for shock factor. 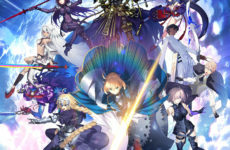 Rather, they created an entire experience not only carried by one strong factor, but a beautiful mesh of dependency among all aspects of the game – from written dialogue to character design to gameplay mechanics – in the end culminating to a thought-provoking game well-deserving of all the attention it’s earned. But that’s just my opinion. What do you think? Doki Doki Literature Club deserves a spot at the top? Or do you still prefer the approach of AAA developers? Leave me a comment below and let’s talk about it! Next PostCosers Confess: Do photogs only care about fame?